Rapunzel and Flynn from Tangled can be seen arriving for the coronation at the beginning of Frozen. 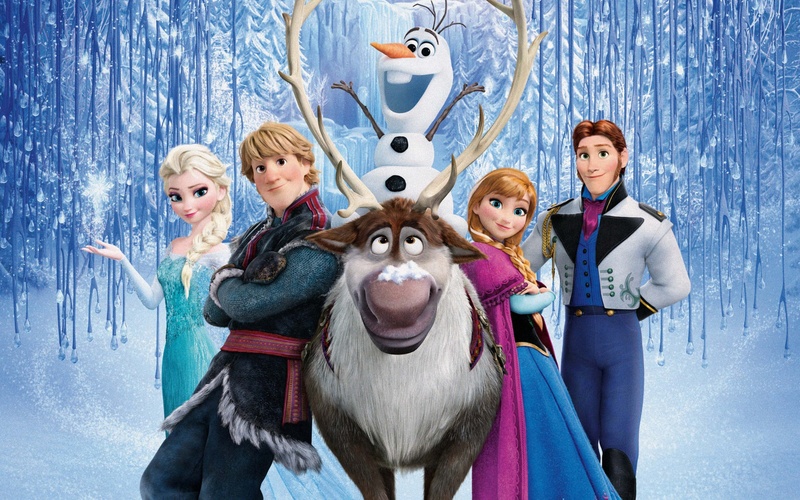 Bonus fact, Frozen was also the first animated Disney film directed by a woman. Another notable female from Disney was Mary Blair, who did concept art for Alice in Wonderland, Peter Pan, Song of the South and Cinderella. She had a very distinctive style. Brenda Chapman was the first female to direct a feature length Pixar film, also becoming the first female to win the Academy award for Best Animated Feature. More recently, Jennifer Lee became the first female to direct a feature length Disney film.